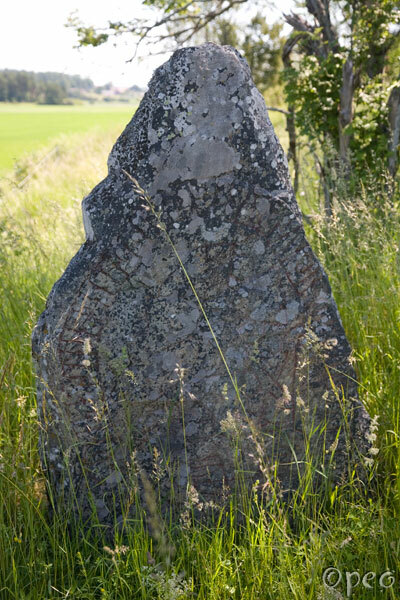 Svarthôfði had this stone raised in memory of Ônund, his son. May God help his and all Christians' spirits. 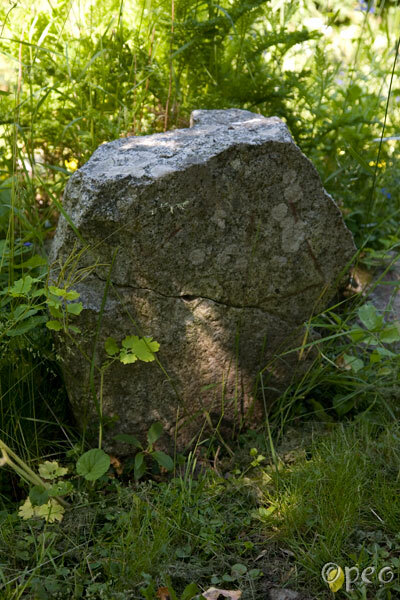 When walking towards U 459 and U 460 you'll see this rune stone on your right hand side, about 100 metres from the path. Eistr had ... raised in memory of Svarthôfði, his father. Yes, Svarthôfði appears on this rune stone too.... It's standing in a private garden in Skråmsta.